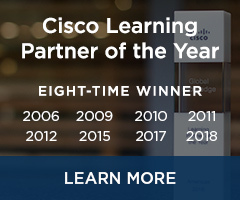 In this course, you will learn about the Cisco Identity Services Engine (ISE) a next-generation identity and access control policy platform that provides a single policy plane across the entire organization combining multiple services, including authentication, authorization, and accounting (AAA) using 802.1x and MAB. The training provides learners with the knowledge and skills to implement 802.1X and MAB for wired and wireless endpoints. The class focuses on configuring Network Access Devices (IOS switches, and Wireless Lan Controllers) with commands necessary for ISE integration. 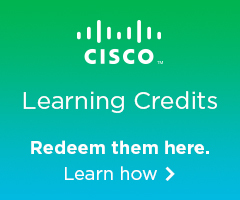 The class also covers configuration of endpoints to use the native Microsoft supplicant with PEAP and EAP-TLS, as well as the Cisco NAM supplicant with EAP-FAST. Time is taken to explore Microsoft Active Directory group policy for endpoint configuration, and to cover integration of an enterprise CA for certificate based authentication. Turn on Endpoint Profiling and use it to identify popular endpoints such as Windows and Apple iOS devices.